How about a hammock on deck instead of on the sandy beach? Leash off for a sailing trip along the San Blas Islands. 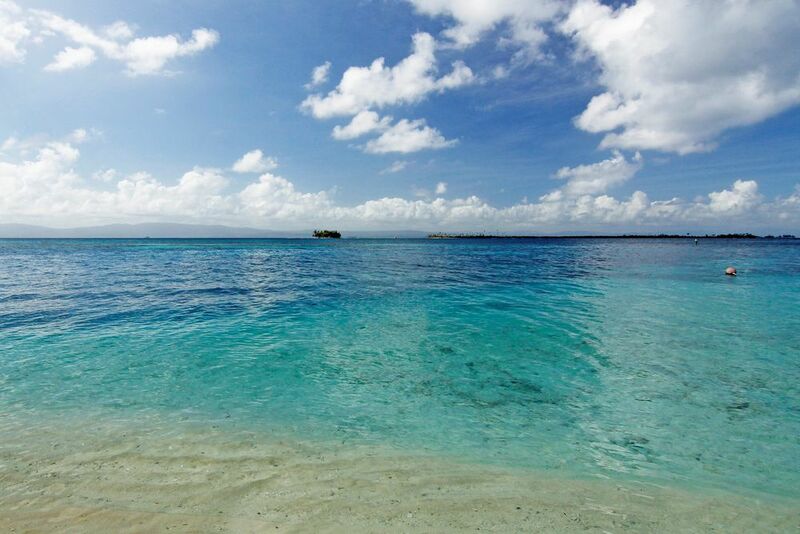 Sail along the mostly unspoilt islands of the San Blas archipelago. 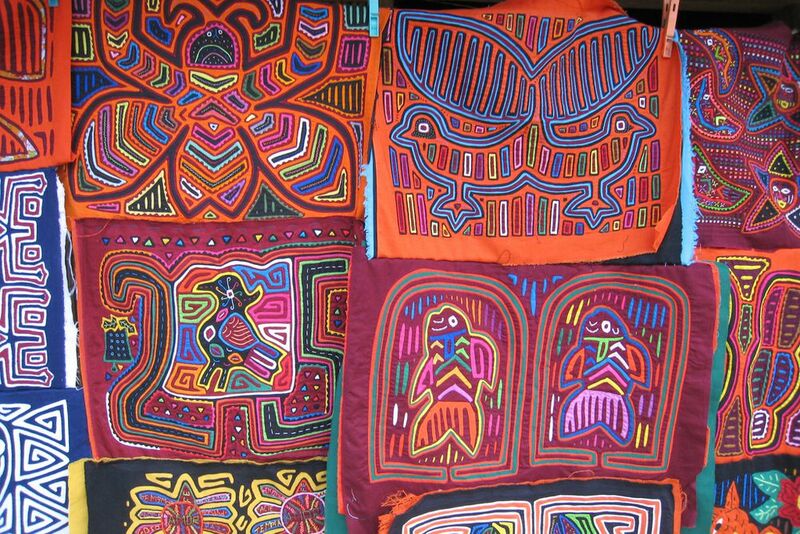 Molas, hand-embroidered by the Gunas. You can see how these are made on some islands. 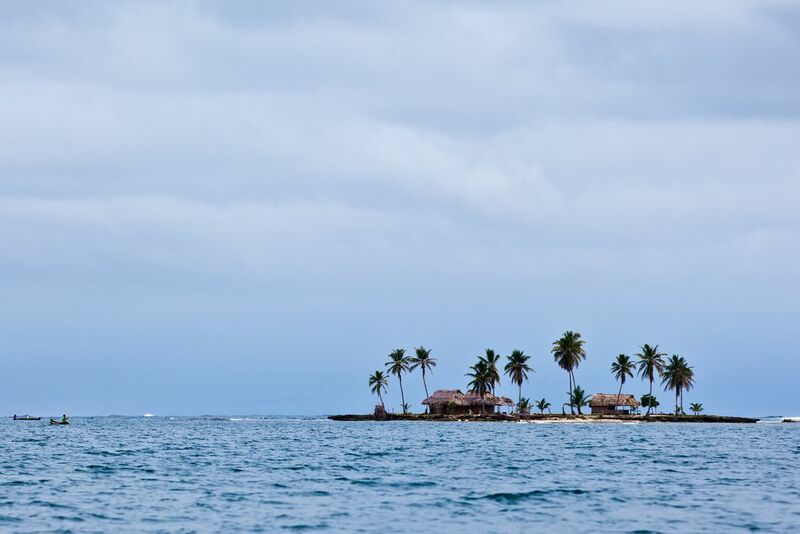 The San Blas Islands are the dream home of Guna Indios. 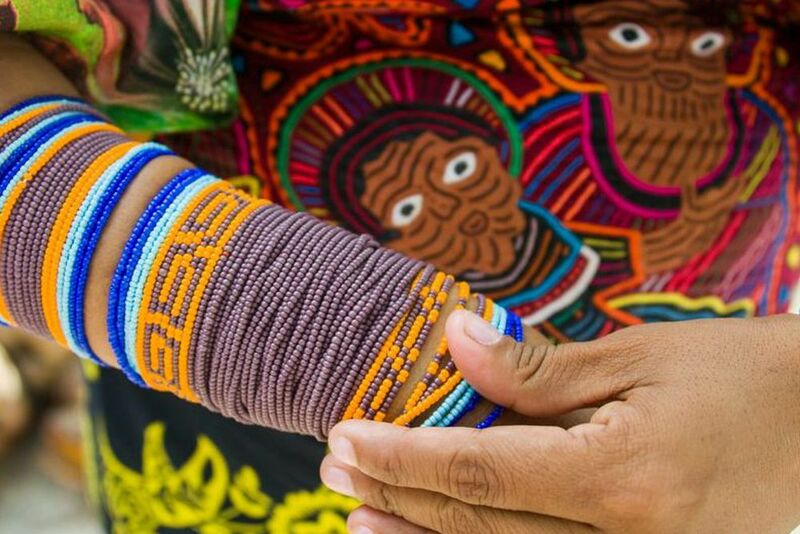 Experience the world of Guna Yala and its original life and traditions. 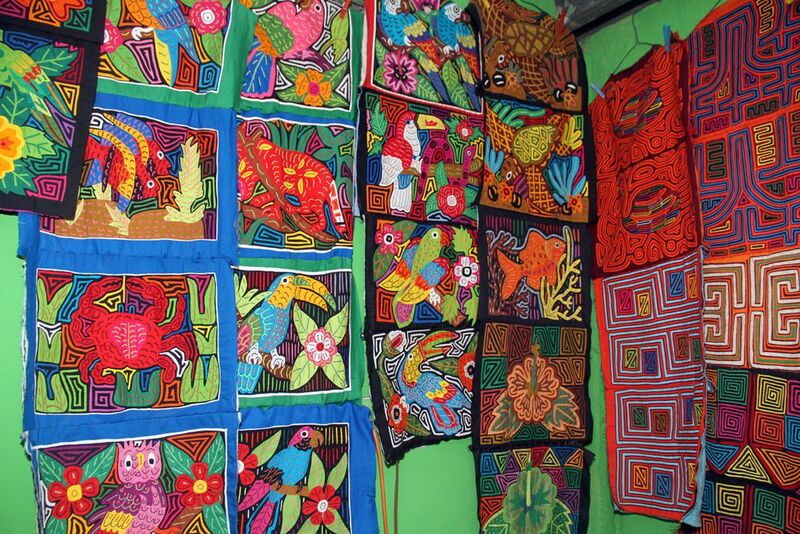 The Molas are a popular souvenir from the San Blas Islands. 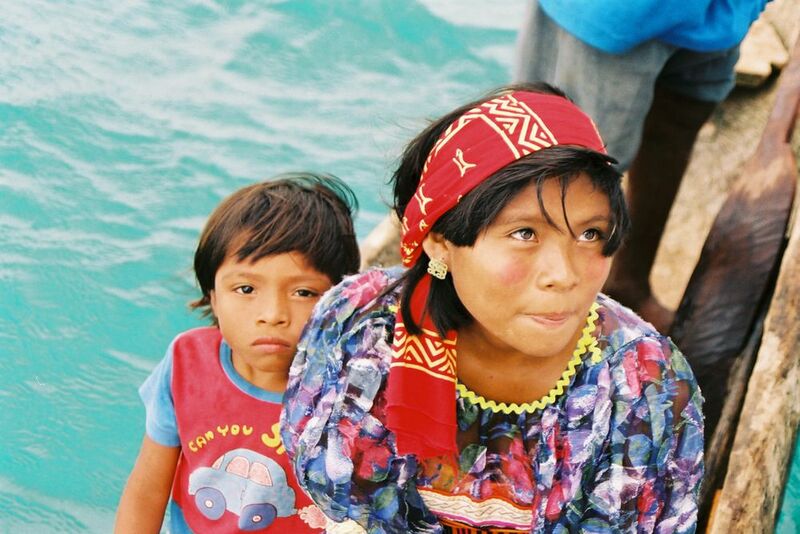 The inhabitants of the San Blas archipelago are indigenous. Enjoy the light breeze of the Caribbean wind as you cruise across the ocean. An unfettered holiday atmosphere awaits you on this trip. The sunsets on deck look magical, trust us. The archipelago is a perfect setting for a dream vacation. Picture perfect: Sometimes only one palm tree stands on an island. Look forward to a quiet atmosphere. The catamaran has only 3 double and one single cabin. 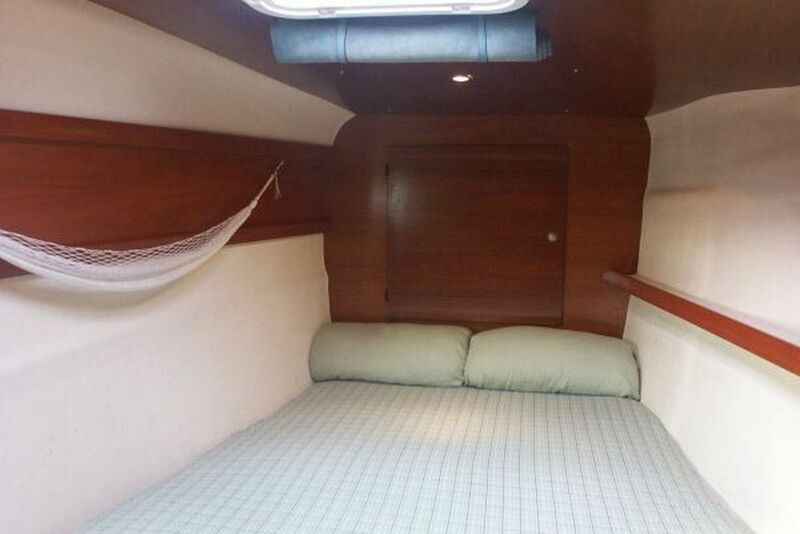 The interior of the catamaran is comfortable. 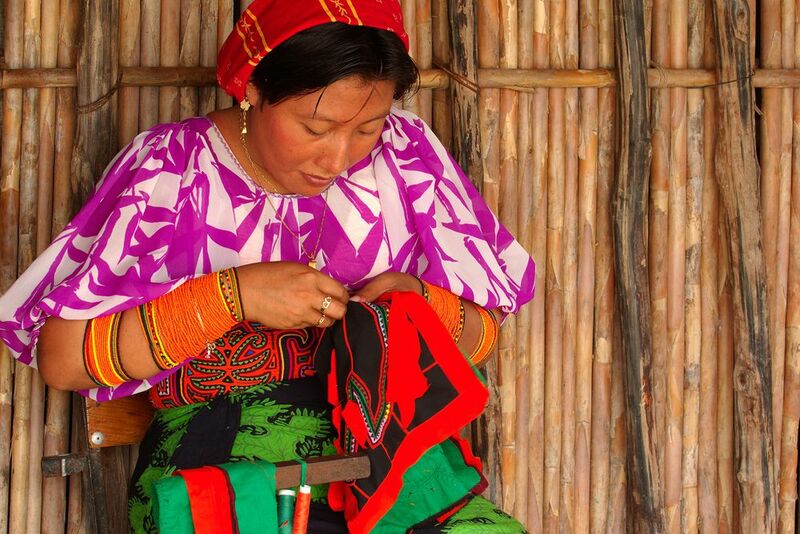 On some islands you can see how Molas are made. Leash off! 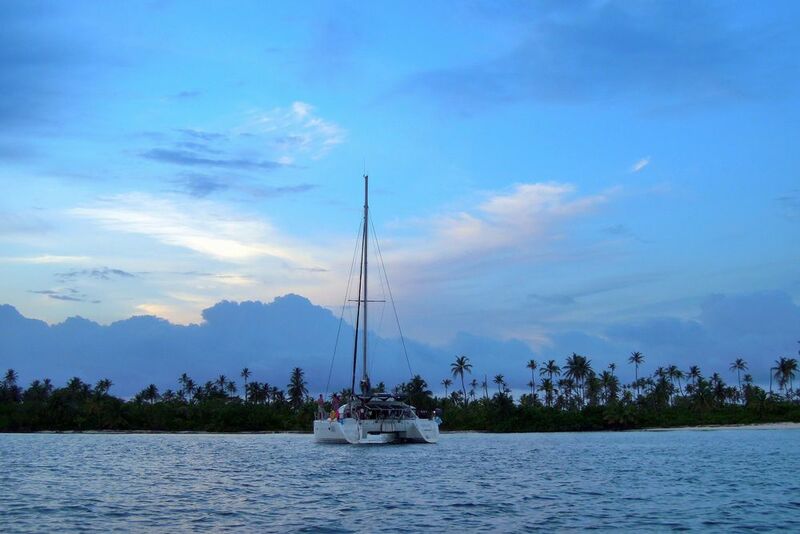 Experience the truly dreamlike home of the Guna Yala from a catamaran. Enjoy the light Caribbean breeze on deck, listen to the sound of the ocean and admire the crystal clear waters between the 365 islands of the San Blas archipelago. 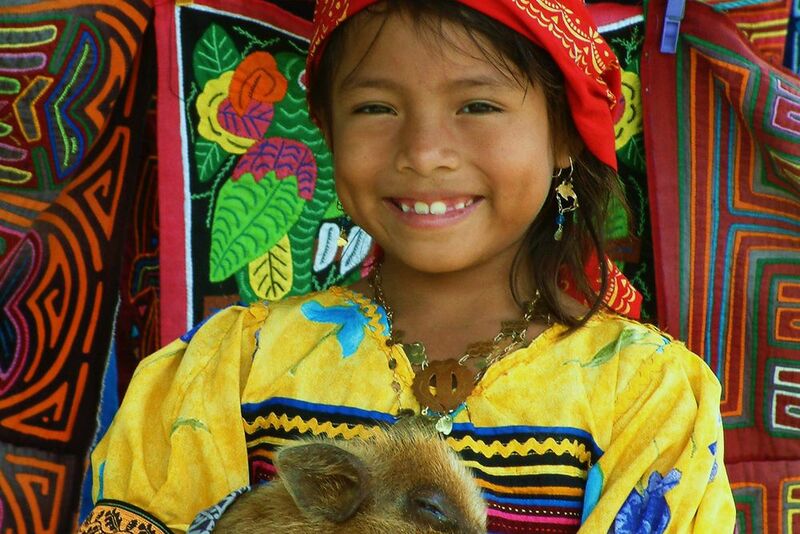 Learn more about the exciting culture of Gunas. Pure holiday feeling! 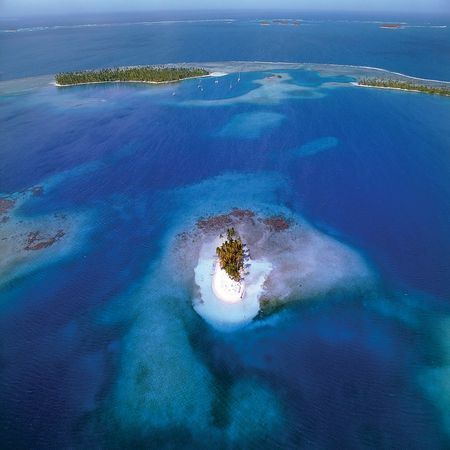 Early in the morning we will take the jeep from Panama City to the wonderful San Blas Islands on the Atlantic coast. The Guna Yala islands are amongst the most beautiful and colorful regions of the country. Get on board and explore the island paradise from the deck for the next few days. You will spend relaxing hours on the sailing ship and visit traditional villages of the Guna Indians. They are one of the few primitive cultures of the Americas that have been barely touched by the colonial epoch and its aftermath. This tour, however, will also offer a fair share of opportunity for recreation: you can get off the catamaran, relax on the beautiful beaches and swim with numerous colorful fish through the crystal clear sea. In the evening, you will go back to the catamaran and spend a comfortable night on the sailing ship. The catamaran accommodates max. 7 people, so you can feel quite undisturbed on the ship. 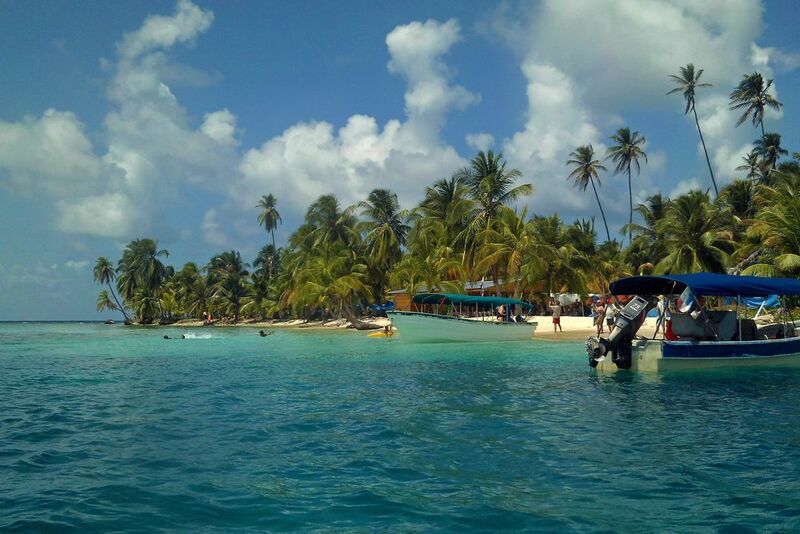 3 nights on the sailing ship Bahia 46 Nikita in a double cabin, San Blas Islands, Panama. In the early morning, you will be picked up and taken back to Panama City by jeep. Once there, you can recapitulate the exciting experiences you've had and start your journey onwards, whether to a new destination in Central America or at home. Sailboat Bahia 46 Nikita, San Blas Islands, Panama The cozy Bahia 46 Nikita catamaran has three double and one single cabins with en-suite bathrooms and a beautiful panoramic window overlooking the sea. Relax on the sundeck and enjoy the various water sports activities, such as kayaking, fishing and snorkelling. 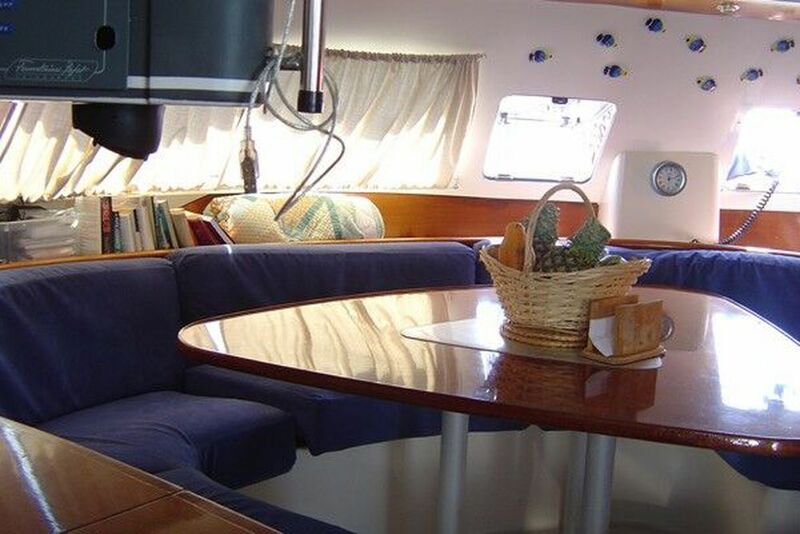 In addition, the catamaran is equipped with a fridge, freezer, fans, music equipment and a barbecue. 3 nights. Between the 22.12. - 05.01.2018 there are no departures. The Paradise Island is a place that evades description.